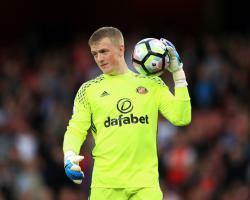 The 23-year-old goalkeeper has enjoyed a stunning season for the relegated Black Cats, also earning a call-up to the senior England squad, and is being eyed by several potential buyers. Everton are reportedly the latest, but Moyes said: "It would need to be a really, really big offer. Asked if the Washington-born keeper's price tag would be in the region of Â£30million, Moyes replied: "Yes."